New Delhi : A new reading room exclusively for girl students has been inaugurated today in Dr Zakir Husain Library Annex, Jamia Millia Islamia (JMI). The facility has been extended following request from a large number of girl students to the DSW and the University Librarian of the university. This new 120 plus capacity reading room has been provided with all necessary facilities. Inauguration of Institutional Digital Repository (IDR) also took place today in the orientation room of the Dr Zakir Husain Library complex. 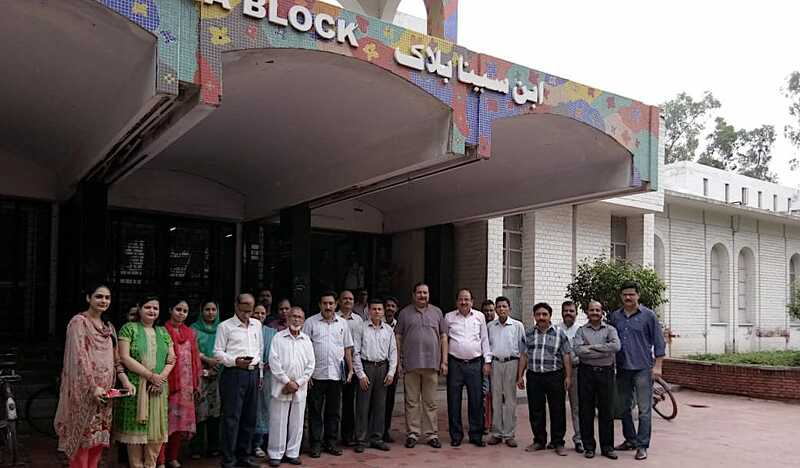 Prof. Niamatullah Khan, Dean, Faculty of Social Science, inaugurated both the facilities in the presence of Dr H J Abidi, University Librarian, Deans of Faculties, Heads of Departments, former librarians and other staff members of the library. This IDR is part of National Digital Library of India (NDLI) Project. JMI is one of the main contributors of NDLI. Dr. Zakir Husain Library, JMI is a content partner of NDLI, which is a project of Ministry of Human Resource Development under the aegis of National Mission on Education through Information and Communication Technology (NMEICT). Under this project Dr. Z.H. Library has been involved in establishing an IDR and uploading the documents on it since 2016 for NDLI project. As of today, JMI’s IDR contains 2224 documents which includes 553 manuscripts, 743 rare books, 470 theses, 426 Old Serials, 31old newspapers etc.